Forms have become an integral part of our lives. Everybody needs them for virtually everything they do. To enable us to provide good customer service we need you to fill in forms. The information we collect is secure. Forms to use are shown below, just click on the heading of which ever form applies to you. Or you can email Customer Service for assistance. how to contact you. 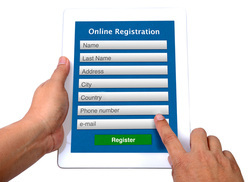 Registration is a one time requirement and will create your customer number. This number is used as a control when using our service. Information you provide is used solely to enable us to provide good customer service. It is not sold, given away, or used for any other purpose than what it is intended for. There is no charge to register, no monthly charges, no other fees or charges. It is free! But remember there is a service charge to use our services. To use our Buy and Ship service just click here and fill in the form. Provide as much detail as possible. Such as, where are your item or items coming from, are there tracking numbers and where are we sending your shipment to? This will assist with speeding up the shipping process so that we can provide the best possible customer service possible. If you require shipping only use this form.